The first global overview of planet Earth’s plant life has revealed a shocking 21% types of plant worldwide are at risk of extinction. In total 391,000 types of plants are known to science, from tiny orchids to giant sequoia trees, according to the State of the World’s Plants report written by 80 experts led by the Royal Botanic Gardens at Kew in London. The study reveals alarming implications for our biodiversity, and point towards an event similar to a mass extinction that could undermine agricultural viability with catastophic results. “I think on the positive (in the report), we’re still discovering a lot of new plants. 2,000 new plant species a year on average. And we’re finding new plants for food, for fuel, for drugs. On the negative, we’re seeing a huge change in land cover type, mainly driven by agricultural activity. 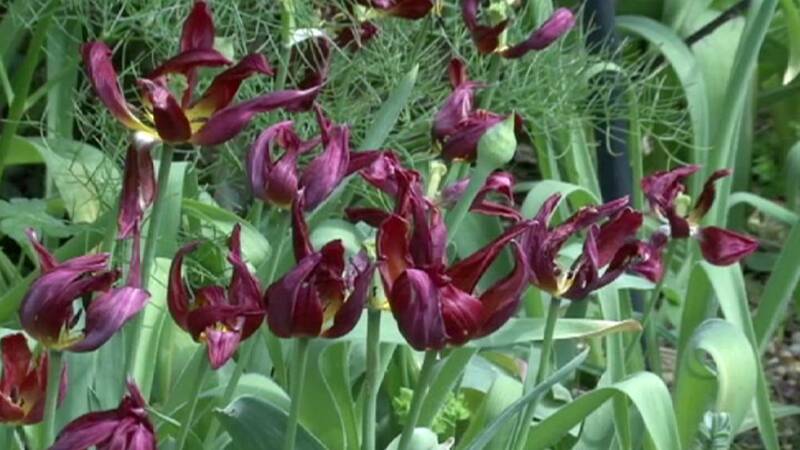 A little bit of climate change in there as well,” says the Royal Garden’s Director of Science Dr. Kathy J. Willis. Experts claim that many parts of the planet are suffering from rapid changes, such as from the felling of tropical forests to make way for farms and cities. “There are very, very few areas currently that are recognised for the important plants they contain. Most of our conservation areas are important bird areas for example. And we really do need to change that around, given how fundamental plants are to human wellbeing,” says Willis. The botanic gardens contain a huge number of plant species to be studied and admired, but it is only a fraction of what exists on Earth. Here there are samples of flowers such as the Nymphaea thermarum, which are currently extinct in the wild. “The way that I would like to write myself out of a job is by actually describing all of the plants species on the planet. But yes if the biomes, the forests change so much then all I’ll be doing is describing species from herbarium specimens and the plants that no longer exist in the wild,” says the Head of Identification and Naming Timothy Utteridge. According to the IUCN report, agriculture is the biggest threat for vascular plant species, representing 31 percent of the threat. The second biggest threat is logging and the gathering of plants, (21.3%). Climate change represents only 3.96% of the threat, but scientists say that the real effect will not be known until decades in the future.